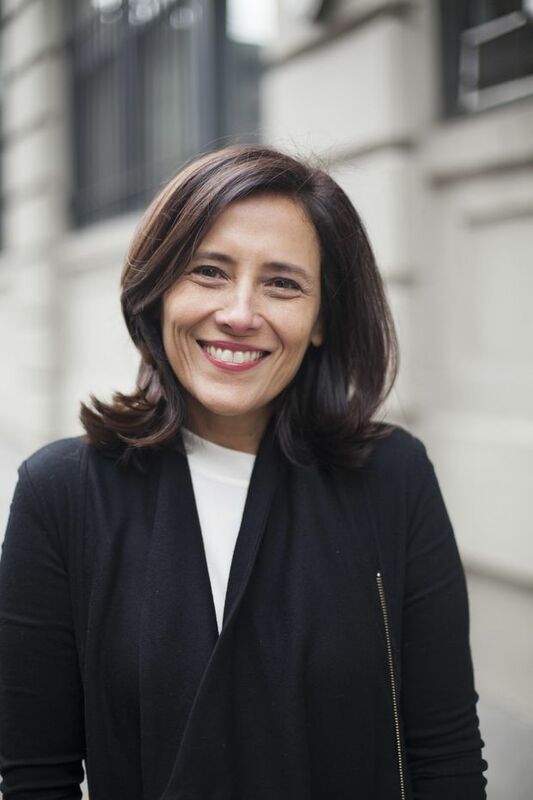 A week before the Toronto International Film Festival kicks off its 43rd edition, the organization reached the third act of its own high-stakes drama on Tuesday, when it announced Joana Vicente as TIFF’s new executive director and co-head. Vicente, who will serve alongside TIFF's artistic director and co-head Cameron Bailey, was until now executive director of the New York-based Independent Filmmaker Project (IFP), the largest and oldest organization of independent filmmakers in the United States and, like TIFF, a not-for-profit. Under her tenure, the IFP partnered with various New York City agencies to open the Made in NY Media Center in 2013. The 20,000-square-foot Brooklyn building, for which Vicente helped attract donors and sponsors to supplement city funding, is billed by the IFP as a "new kind of co-working space and exhibition venue designed to connect and incubate the next generation of artists and creators." Joana Vicente is seen in a handout photo. Prior to taking on the lead role with the IFP in 2009, Vicente carved out a prolific career as a film producer, working with such indie-film icons as Nicole Holofcener (Lovely & Amazing), Jim Jarmusch (Coffee and Cigarettes), Brian De Palma (Redacted) and Todd Solondz (Welcome to the Dollhouse). The appointment ends a year of speculation among members of Canada’s arts community, ever since Piers Handling revealed last September that he would be stepping down as TIFF’s director and CEO after 24 years at the top. In April, TIFF announced that instead of seeking a direct replacement for Handling, it would instead introduce a new two-headed leadership structure. Bailey, previously TIFF’s artistic director and Handling’s No. 2, was promoted to the newly created position of “artistic director and co-head,” reporting directly to the board effective Oct. 1, while an incoming co-head and executive director would focus on “revenue optimization,” particularly within the organization’s Lightbox headquarters, a year-round five-cinema venue opened in 2010. The building, which Handling once proclaimed would “put Toronto on the international map year-round,” becoming a “magnet” that would walk the fine line between cinematic integrity and commercial viability, has struggled to adjust to the changes roiling the industry. Last year, TIFF revealed that attendance at the Lightbox cinemas plunged in 2016, with 130,585 attendees compared with 179,653 the year before, a 27-per-cent drop. At the same time, TIFF reported a nearly $1-million deficit in its 2016 annual report. Yet, there are signs of a rebound. In June, TIFF reported a surplus of about $1.5-million in its 2017 annual report, and on Tuesday the organization revealed that attendance at the Lightbox has bounced back, with 197,240 attendees in 2017, an increase of about 51 per cent from the year before. Bailey has previously touted the strength of the organization’s new five-year strategic plan for 2018-22, part of which involves a “reimagining” of the entire Lightbox. “We want to make sure the building is actually tuned to the audience segments we’re going after,” he told The Globe and Mail last summer. Vicente will attend this year’s edition of TIFF, running from Sept. 6 through 16, while continuing to oversee the production of the IFP’s Gotham Awards, which take place on Nov. 26. She will start at TIFF effective Nov. 1.